Painting by William Parrott 1813-1869. 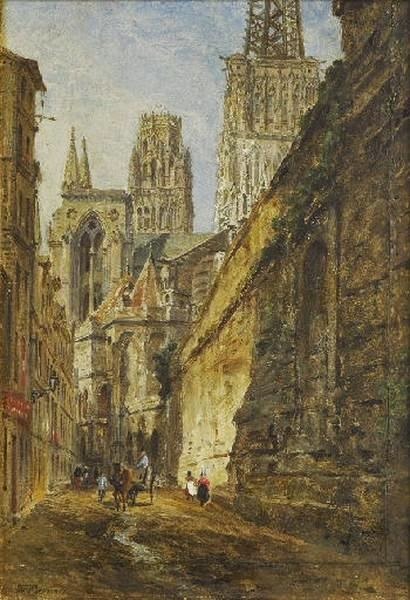 One of several paintings by Parrott of ornate church towers; the imposing structures are obscured by the many threads of life that have grown surrounding them. Parrott's viewpoint does not emphasize the grandest elements of the great structure, but does indicate how it dominates life around it.